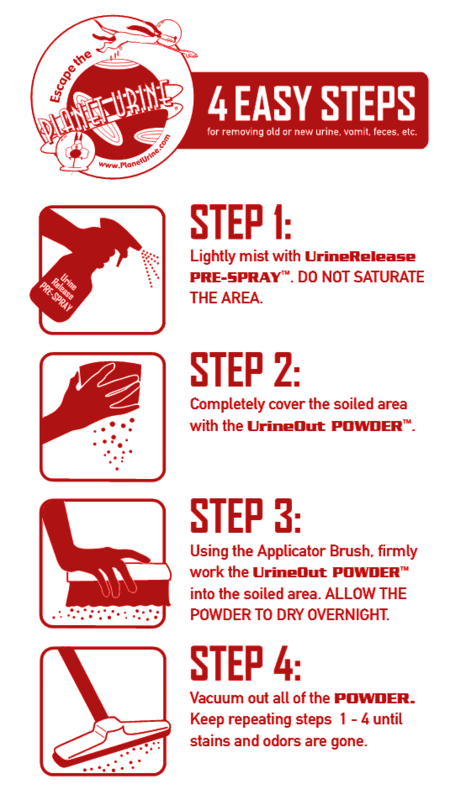 Locate the areas where visible dog urine, cat urine, or human urine stains or odors are noticeable. If you can’t see any stains, but you can smell urine odors, then you need to use a Planet Urine’s Odor Detector Blacklight to locate the soiled areas. 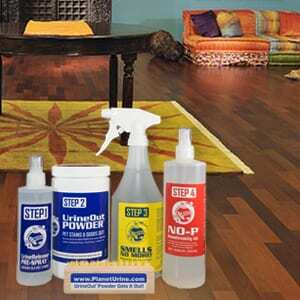 Step 6: Treat the areas with No-P!™ Housebreaking Aid to keep your pets away from the areas. 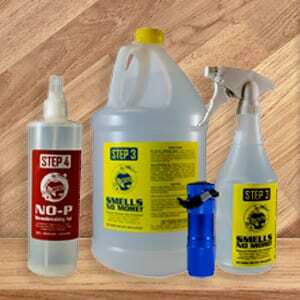 When sprayed on the cleaned areas, No-P!™ Housebreaking Aid will keep any other pets from re-soiling in the areas.